California wants to be the first state to prohibit its health department from ever seeking a waiver that imposes work requirements on Medicaid enrollees. The California state Senate passed SB 1108, authored by Democrat state Sen. Ed Hernandez, on a 29-10 vote on Tuesday; the bill has already passed the State Assembly. Now, it will go to Democratic Gov. Jerry Brown for his signature. "If this bill is approved by the governor, California would be the first state in the nation to stand against Trump's effort to take Medi-Cal coverage away from those who need it most," Hernandez, a physician, said in a statement. "We need to make sure the millions of Californians can keep their comprehensive health coverage." 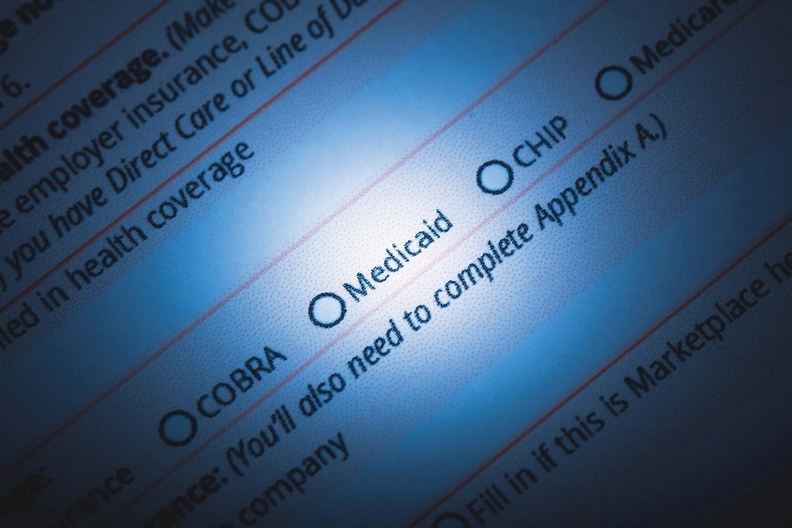 The bill specifically restricts the state's health department from seeking a waiver that could reduce access to Medicaid coverage. The bill's language would not only ban work requirements, but also waivers that impose waiting periods, time limits and coverage lockouts if beneficiaries don't pay their premiums, according to an analysis by California's Department of Health Care Services, which opposed the legislation. "SB 1108 will inappropriately restrict the ability and flexibility of DHCS to negotiate future waivers with the federal government," the agency said in a notice. "We believe this proposed prohibition in statute is both overly restrictive and unnecessary." But others say the law was needed because California could elect a Republican governor in the future, according to Jen Flory, a policy advocate with the Western Center on Law & Poverty, which initially sponsored the bill. She also said it would prevent the CMS from requiring states to adopt conservative health policies as a condition of approval for future waivers. John Cox, the Republican candidate for governor, said in an May interview he was concerned about the number of people in the state's Medicaid program, known as Medi-Cal. "We have one-third of our people on Medi-Cal which is supposed to be just for the low income, the poverty-stricken," Cox said in an interview with the San Diego Union-Tribune. "I think I do make a good case for the mismanagement of the state." CMS Administrator Seema Verma has said she supports work requirements because they are an incentive to move out of unemployment and poverty. The agency has approved work requirement waivers for Arkansas, Indiana, Kentucky and New Hampshire, although Kentucky's waiver was successfully challenged in court. At least nine more states that have applied or plan to apply for waivers. Verma has also said she is concerned about the rising cost of Medicaid and the move under the ACA to add so-called able-bodied adults to the program. In California alone, Medicaid spending has jumped from $66 billion in state and federal expenditures in fiscal 2013 to $88 billion in fiscal 2017, according to federal data. Enrollment has jumped from around 9 million to 12 million. If Brown signs the bill, it could mean healthy individuals on Medicaid can continue to forgo employment, according to Robert Kaestner, a professor in the School of Public Policy and the economics department at the University of California at Riverside. "Fewer people covered by Medicaid will work and will be incentivized to forgo the demonstrated benefits of work that include greater long-term financial security and greater self-esteem," Kaestner said.